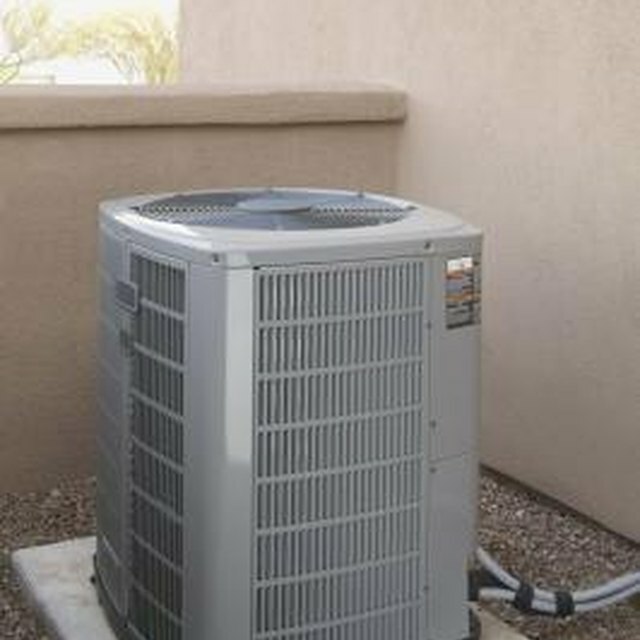 Central heat and air conditioners (commonly known as HVAC for heating, ventilation and air conditioning) produce water condensation on various components. When cold moist air comes in contact with warm surfaces or warm moist air with cold surfaces water condenses and runs off the surface. This condensation must be drained from the HVAC system either out into yard or into a sewer tap. Installing your own HVAC drain line is rather simply even though getting access to the system may take some effort. Draining the condensation from your HVAC unit is necessary to prevent water collecting in attics and crawlspaces. Something as simple as garden hose attached to the condensation outlet on the HVAC simple carry water away. The only problem with a hose is the extreme heat and cold of attics, crawlspaces or out in the open can lead to deterioration Another more substantial material is copper tubing. Copper is durable, resistant to all climate and can be fashioned into different shapes to go around corners and through wall spaces. The one disadvantage to a copper drain is price. Copper is relatively very expensive compared to other possibilities Finally, PVC "white plastic" tubing works very well for a HVAC condensation drain. Cheaper than copper and more durable than hose it only takes a modicum of skill to install and easily connects using special PVC glue. If your HVAC system is in the attic you have to determine how to route the drain line. Don't forget: all drains must have a slope no matter how slight. Flat drain lines collect water, not drain it. A good possibility is running a continuous line from the attic to the crawlspace through wall spaces. Although less aesthetically pleasing you can always open a small hole in the attic wall and run the drain line on an outside wall Outdoor and crawlspace HVAC systems are much easier to drain. Just be sure of the draining water's route and that it won't pool and will continue to flow away from the house. A crawlspace drain can either tie into the exiting kitchen or bathroom drains or go out under the crawlspace access door. Hoses need no assembly, just routing to the outside. Copper can be bent with a tubing bender to go around corners but must use hot tin solder to connect fittings for either angles bends or to connect two pieces together for more length. PVC must use fittings and configured bends (two 90-degree fittings with tubing sections in the middle for a 180 degree turn, etc) because PVC cannot be bent. When constructing PVC drain lines, however, the quick setting glue goes on effortlessly and will seal a fitting quickly. How Does a Weeping Tile Work?